Once in a lifetime you get the chance to see a premier band in an exclusive location in order to support a good cause, and THIS IS IT! This summer, CBMBA is overjoyed to announce that our Summer Dinner and Ride is going above and beyond! The Wailers in concert! 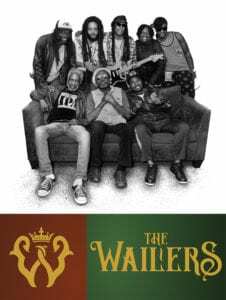 (Yes, THE Wailers–Bob Marley’s Wailers–THOSE Wailers). To put it over the top, the whole event will be hosted at the barn on the Budd property at the end of Peanut Lake Road! We can barely contain ourselves with excitement! This is a never-before-seen event in a never-again location. This is your chance to hear amazing music in a phenomenal location AND support a good cause. Given the pristine nature of this venue, guests must ride, hike, or take a shuttle to the Budd property. There is absolutely NO DRIVING allowed. Shuttle information to follow–check back later! So many thanks to the Budd Family, the CB Land Trust, IBar Ranch, and the Town of Crested Butte for making this happen! Tickets for the ride, dinner, guest speaker, beverages, and concert are $200. Tickets for the concert only and beverages are $100. Space is limited, so buy your ticket now to ensure you get to participate in this exclusive, literally once-in-a-lifetime event.